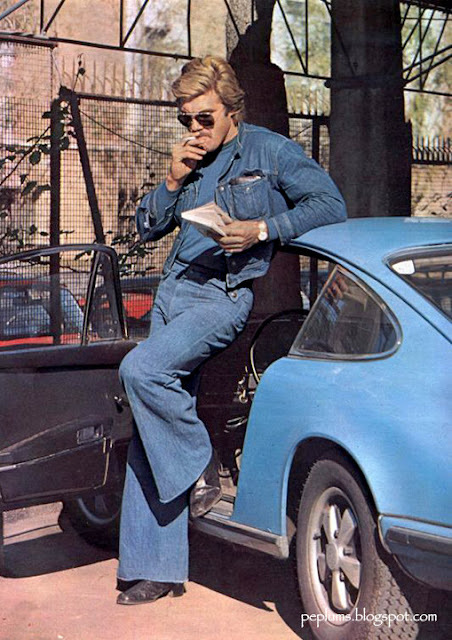 A denim bell bottom leisure suit that matches one's sports car? This is boldly pushing the boundaries of 70s fashion just beyond the breaking point. Nice job of surfing the zeitgeist there, Kirk (or Adriano).